When it comes to sportsbooks, Las Vegas usually comes to mind for most people. Since the Supreme Court’s ruling in spring 2018, other states like New Jersey have started opening more venues for sports betting. Casinos and race tracks for both horses and vehicles are some of the most common places to find sportsbooks. However, there are some places where people go to make bets that are completely unexpected. This could make for an even more exciting betting experience, especially if you are new to gambling. 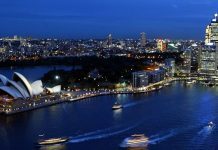 Here are some of the most unlikely places you can find a sportsbook, as well as some interesting opinions about the state of gambling in the country. A poll released by Seton Hall University revealed that when it comes to sports betting, particularly for the Super Bowl. The poll was sponsored by the Sharkey Institute and covered topics like who Americans want to see win the Super Bowl, as well as how Americans feel about sports gambling. There were 985 adults who took the poll across the United States and participants used both cellphones and landlines to answer the questions. It may sound strange, but Americans say they are tired of greatness. The poll indicates that 62% of those who are avid NFL fans say they are “tired of seeing” New England being represented in the Super Bowl. Only 27% of the people who took the poll believe the New England team should be in the Super Bowl. Of course, this was drastically proven wrong when the television ratings were through the roof on Super Bowl Sunday. People were asked if they would prefer watching intense offences like New England, since the team is close to retiring their dynasty against teams like the Rams, who are emerging in power and skill. Poll participants were also asked if they would prefer watching a game like the Jaguars vs the Buccaneers. Those who created the poll asserted that this was a great Super Bowl match and was the best that viewers could hope. American sports fans are huge fans of dynasties and the ratings from previous games have reflected this. The most recent Super Bowl was no exception. One of the benefits of this year’s Super Bowl is that people could legally bet on the game in New Jersey sportsbooks due to the 2018 Supreme Court ruling. Ironically, Americans do not like people who could be labeled GOATS (greatest of all time), even though Americans pride themselves on being great. Tom Brady is arguably one of the greatest quarterbacks ever to play football. However, Brady only got a favorable rating of 29%. Before Deflategate, he had a 61% rating. Bill Belichick, who is regarded as one of the greatest coaches in the NFL or any sport, only got a 20% favorable rating. In the same poll, participants gave Donald Trump an approval rating of 39%, which can help to put the other ratings in perspective. According to the poll, Americans also have astounding views on sports gambling. 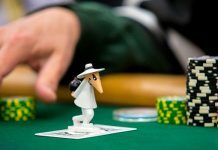 The poll from Seton Hall also revealed that 81% of poll respondents said “yes” when asked if “legal betting can lead to cheating or fixing of games by players.” People responded this way regardless of the fact that casino games are monitored and leagues are also monitored and charged integrity fees for not following regulations. Even though the athletes are paid much more than umpires and refs, the players also have more to lose. Seventy-nine percent of Americans feel that it is less likely that officials are fixing games. Despite these surprising results, the poll revealed that 71% of the people who took the survey said they are more likely to watch a game if they have bet on it. The U.S. is home to the best baseball, hockey, football and basketball leagues in the world. When you combine these four major sports with horse racing (which is also popular in certain parts of the United States) and a population of more than 300 million, it is not shocking that sports’ betting has become a huge part of American culture. In Europe, sports’ gambling is heavily regulated by the government. 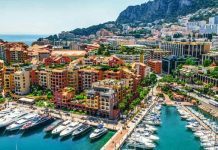 In the United States, there are certain areas that are in favor of sports betting, while other regions are still deciding whether to adopt the practice. In 2018, the Supreme Court ruled that sports’ gambling was permitted in states other than Nevada. This has caused some states, like New Jersey, to appeal to the sports betting market. However, some states, like Massachusetts, are still not completely on board when it comes to sports gambling. Before the ruling, sportsbooks were not allowed to operate in the U.S. (except in Vegas) but there was some gray area as to whether American gamblers could utilize sportsbooks located outside the U.S. this meant that in the past, only two sportsbooks were allowed to accept bets from U.S. residents. 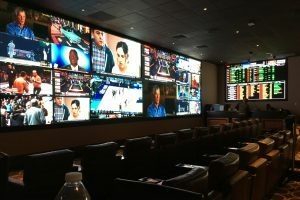 One of the reasons you could find sportsbooks in unexpected places in the United States is because it is not legal to operate a sportsbook in every U.S. state. The only states where sportsbooks are permitted are Delaware, Montana, Oregon and Nevada. Outside of those four states, sports’ betting is not regulated at live site. This makes it illegal to operate a sportsbook both online or on land in the U.S. if the sportsbooks are not in the four states mentioned. When it comes to placing bets online, there is not a federal law that prohibits U.S. citizens from online sports betting. Americans can legally gamble online and placing bets through a virtual sportsbook that is licensed and regulated outside of the U.S. has become a normal way to place bets on sports teams. Bovada is devoted primarily to U.S. bettors. The company also has a sister site, Bodog, which is popular in North America but has been attempting to break into other markets as well. As of now, Bodog only accepts bettors who live in Canada. The odds for Bovada and Bodog are identical and sportsbooks are geared toward gamblers in North America. Bovada, BetOnline and 5Dimes are the top recommended sportsbooks that accept U.S. bettors. Bovada has become one of the best brands in the United States for sports gambling and also has the largest virtual poker room for American players. A number of American bettors prefer Bovada since it is easy to navigate and several great features are available, including mobile betting and live gambling. These features are not offered on all sites that accept American bettors. 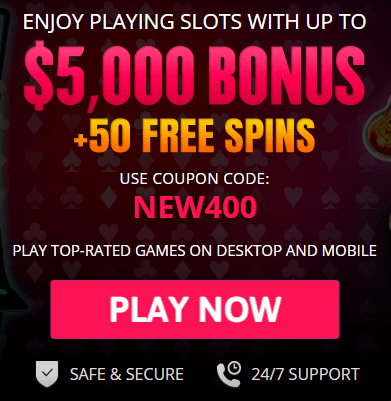 BetOnline is another ideal sportsbook for bettors from all around the world, including players from the U.S. the site offers a large signup bonus that you can find online and BetOnline provides several sports betting odds on several activities. There are competitive odds on the site, and many gamers say that the odds on BetOnline are better than 5Dimes. BetOnline is constantly growing its reputation and is attracting new bettors daily. Those who are experienced in the gambling world predict that BetOnline will soon become one of the best and biggest sportsbooks for bettors in the United States.